Toddlers will love the hands-on, early-learning activities in this new Sophie la Giraffe sticker book. Little ones can colour in pages, sort and match, and find lots of stickers! Preschoolers learn colours as they follow Sophie and her friends playing at home, having a picnic, out and about, painting in the art room, and more. In addition there are counting activities and shapes to spot and identify. A helpful Note for Parents explains how to use the book and encourage your little one to find the missing stickers, sort and match things, colour in pictures, and complete dot-to-dots and mazes. 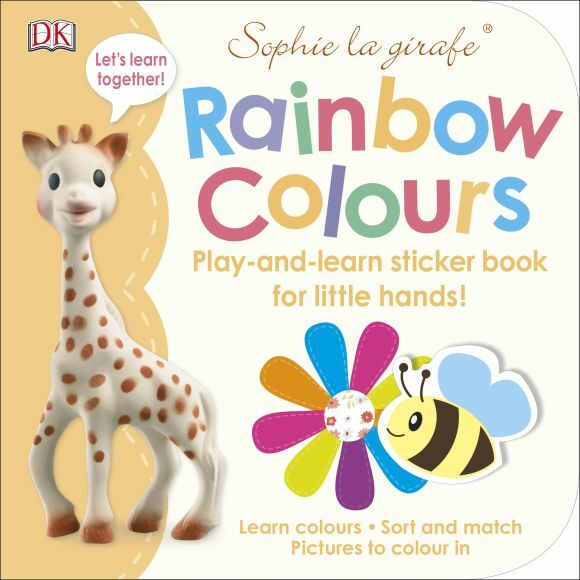 Learning with Sophie la Giraffe is lots of fun in Sophie's Big Rainbow Colours Sticker Book.